Length: 2.6 miles total to May Lake and back, 7 miles total to summit of Mount Hoffmann and back. Elevation Change: 470-ft ascent to May Lake, another 1530-ft ascent to summit of Mount Hoffmann. From the parking area, take the May Lake Trail heading due north. (Note: Several trails cross the parking area; do not accidentally take the trail down to Tenaya Lake or south to Snow Flat.) Hiking the trail up to May Lake is very straightforward and easy to follow. As you head north out of the forest up into the bare granite landscape, you will get some great teaser views of Polly Dome above Tenaya Lake to the east. 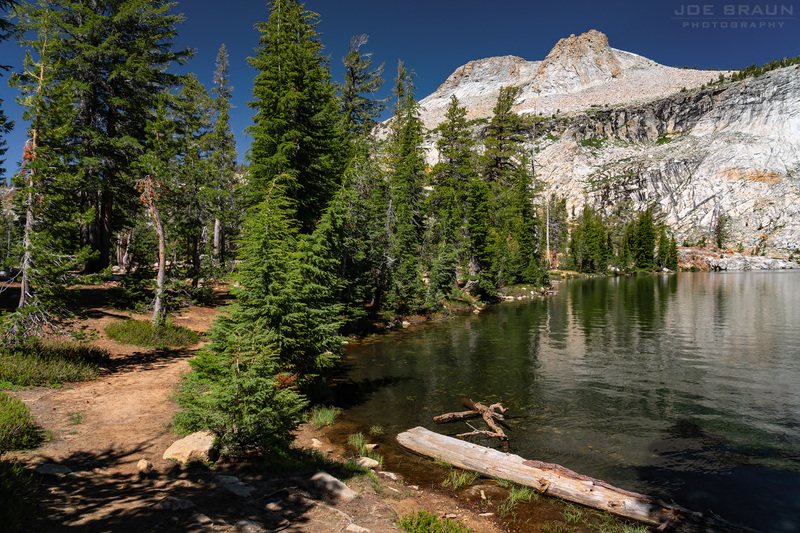 Soon enough you will be standing by the tranquil shores of May Lake near the May Lake High Sierra Camp. If you're looking for a leisurely day, wandering around the lake offers many great spots to relax and have lunch. 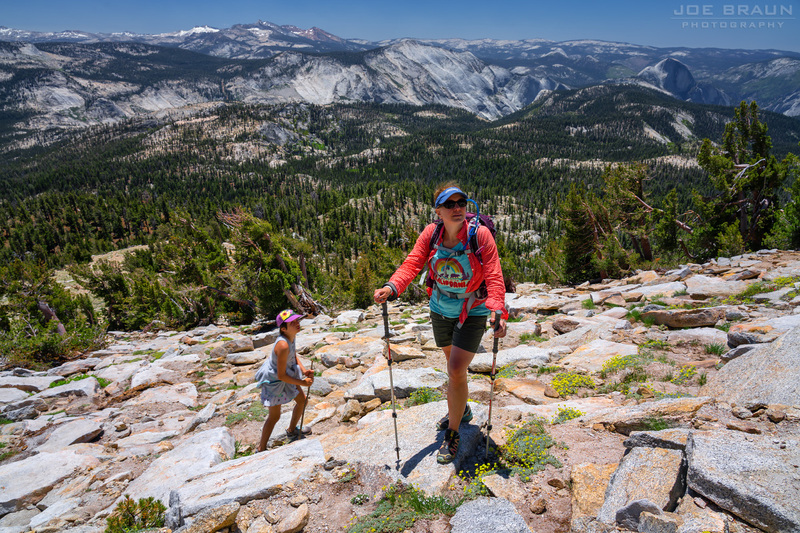 Continue hiking NNW up the steep and open slope, navigating your way around all of the loose slabs of granite that litter the peak. Just as you make your way to base of the prominent upper spires, you will see the actual summit block further off to the northeast. Continue following the trail up into the bowl until you reach the base of the summit block which is covered in broken slabs of rock. A bit of Class 2 scrambling up the large slabs will get you to the very top where great views can be seen in all directions! Of note are Half Dome and Clouds Rest to the south and Tuolumne Peak to the north. As you relax, keep and eye out for overly friendly marmots who will eat anything you own that is salty and left unattended. Return the way you came. 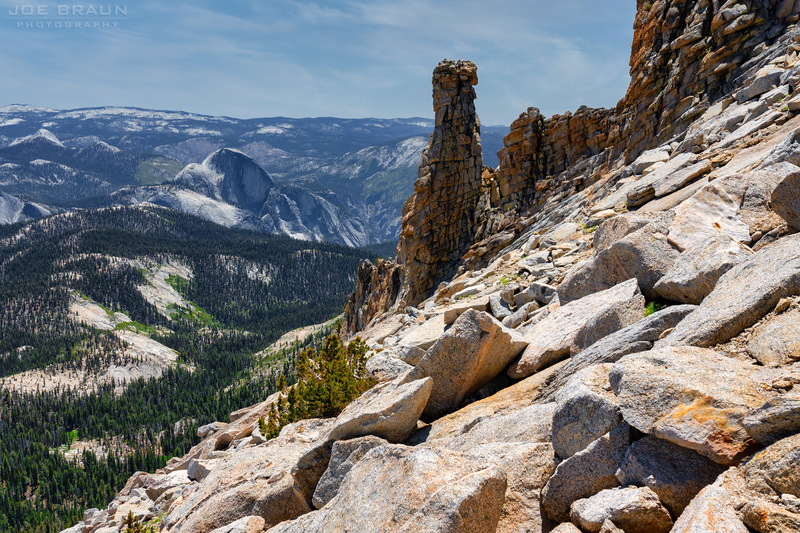 This is a very worthwhile hike to see two of Yosemite's famous landmarks in the high country, but note the high elevation of this hike--the trailhead is higher than the summit of Half Dome! If you are a lowlander (like me), give yourself plenty of time to do this hike and allow yourself breaks so you can catch your breath. If you're not up for Mount Hoffmann, relaxing along the banks of May Lake is time well spent.